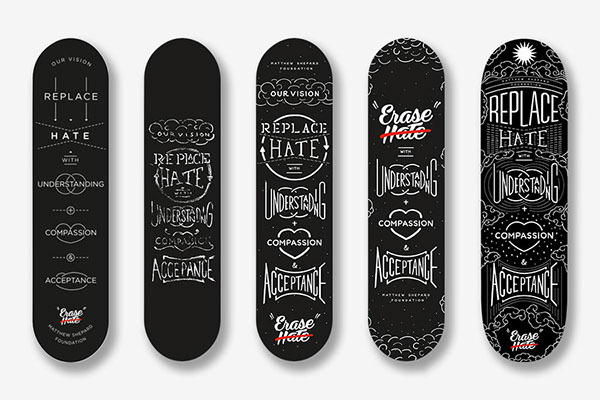 Below are iterations of skate decks and how one design eveolved into another. 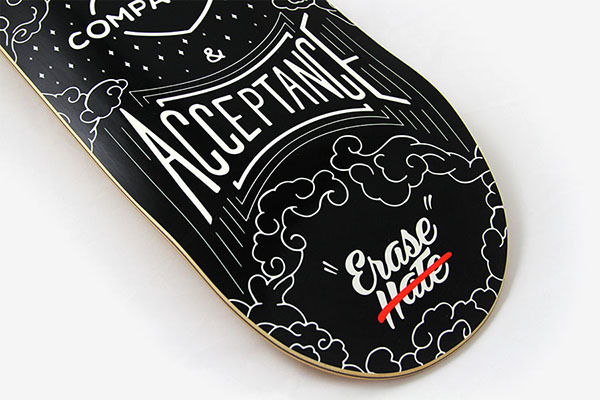 I've always appreciate hand lettering and love Matthew Shepard Foundation core message. 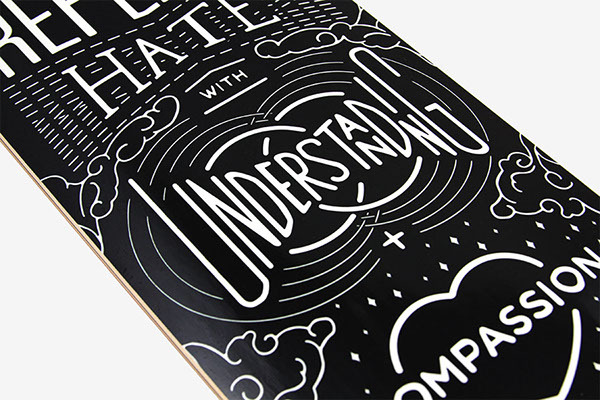 I combined the two to illustrate a captivating and mesmerizing skate deck. Please read my interview I did with my Creative Director for more details and other thoughts about the project. Thank you for viewing! Appreciate this! 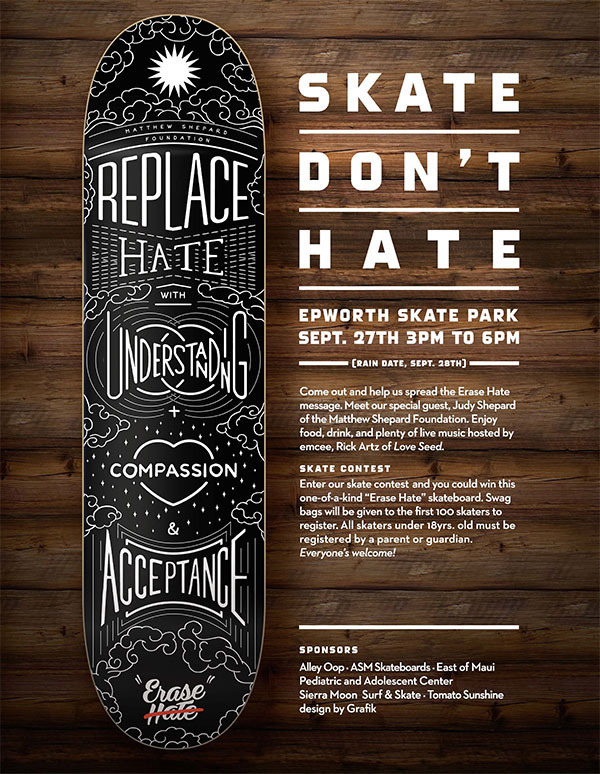 GRAFIK + MATTHEW SHEPARD FOUNDATION I had the pleasure in illustrating the Erase Hate Skate Deck for the Matthew Shepard Foundation during my internship at Grafik Communications. 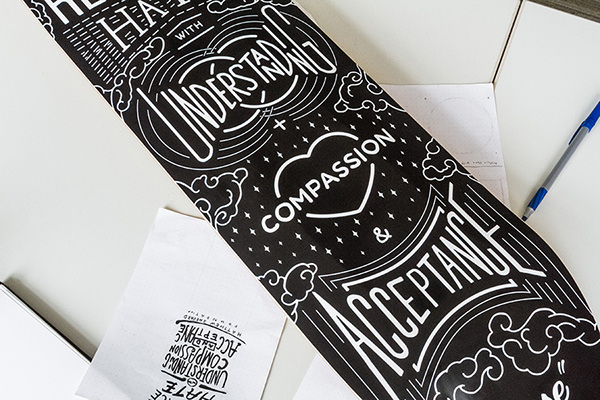 This skate deck was a charitable piece to raise funds for the foundation. Also, it was a promotion piece to encourage people to attend an awareness and fundraising event. More importantly, spread the message the Matthew Shepard Foundation believes. 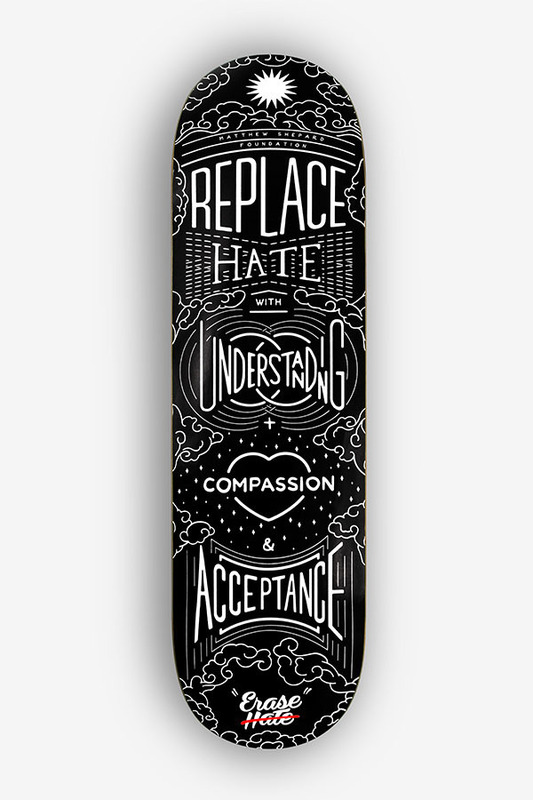 "Replace Hate with Understanding, Compassion, and Acceptance" ---------- We are honored for this skate deck to be featured numerous publications.